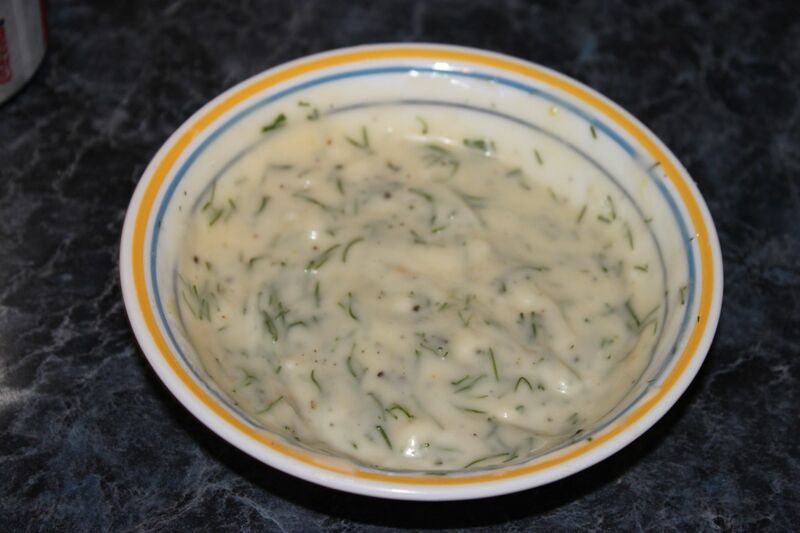 Honey dill is a condiment consisting of honey, mayonnaise, and dried dill that is unique to Manitoba, Canada. It is often used as a dipping sauce for chicken fingers as well sweet potato fries. The sauce was invented mistakenly when a popular local diner located in downtown Winnipeg that specialized in chicken fingers and its owner had tried to copy a different recipe by taste from another restaurant. The accidental sauce was so popular at the restaurant that it took off locally in the province. President's Choice marketed a brand nationally, however sales outside of Manitoba were too slow. Today most production is done by a local Winnipeg producer or in-house at restaurants. Recipe for Honey dill see Here and Here.